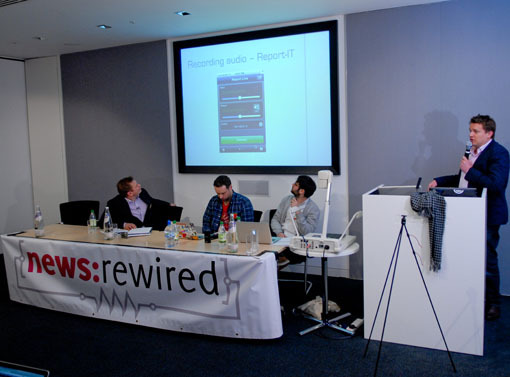 The panel in session #2A featured: Paul Gallagher, head of online content, the Manchester Evening News; Nick Martin, Sky News correspondent; Ben Fawkes, audio content manager, SoundCloud and Christian Payne, social technologist, mobile story maker. Paul’s presentation is embedded below. The other panelists are to follow.